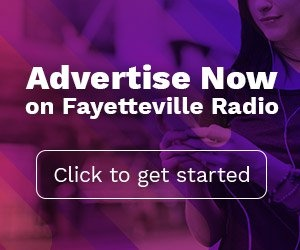 Cape Fear Flooring has been advertising for 18 years on Fayetteville radio. 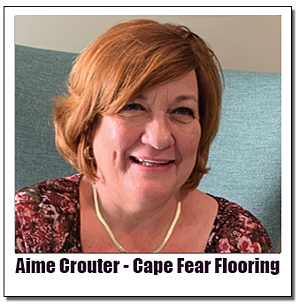 Aime Crouter, the company's co-owner, says, "since we started advertising on the radio we've never stopped. Radio has provided an excellent return-on-investment for us." The first radio jingle ever appeared in a commercial for Wheaties on Christmas Eve 1928 on radio station WCCO in Minneapolis. Have you tried Wheaties? They’re whole wheat with all of the bran. Won’t you try Wheaties? For wheat is the best food of man. The kiddies never tire of them and neither will you. So just try Wheaties, The best breakfast food in the land. Prior to the jingle, sales of Wheaties nationally were so poor, that the brand was about to be discontinued. But when the commercial played in Minneapolis, sales of the product in that city soared. Mr. Gale was right. The jingle was used across the country and Wheaties became one of the best selling cereal brands of all time. So why are jingles like the ones used for Cape Fear Flooring and Wheaties so successful. That I can tell you in one word: science. Jingles create what scientists call involuntary music imagery (INMI). Informally, this is referred to as "ear-worms",. Neurologist Oliver Saks says that ear-worms are proof of of "the overwhelming, and at times, helpless sensitivity of our brains to music." Ear-worms burrow into a special place in our auditory cortex located in the brain's temporal lobe. This is the part of our brain affiliated with short-term verbal memories. In our brains, the ear-worms are transformed into phonological loops. These are like little pieces of recording tape that stores a small amount of audio information such as a chorus of a song or, yes, a commercial jingle. 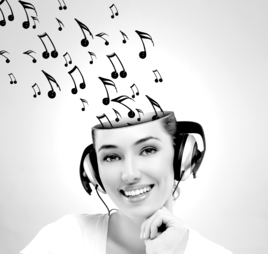 Dr. James Kellaris of the University of Cincinnati believes a cause for an ear-worms endurance may be that “certain pieces of music may have properties that excite an abnormal reaction in the brain.” These extraordinary qualities compel the attention of the brain, forcing it to repeat the song in the phonological loop. According to Dr. Kellaris, the more an ear-worm repeats the more entrenched it becomes. The cost for a small business owner to produce a jingle to use in advertising on Fayetteville radio is fairly modest. Depending on complexity, prices range from $1500-$5000 dollars. An effective jingle, however, can last for the lifetime of a business. In addition to being used in radio commercials, it can also be integrated into a company's entire range of branding opportunities including online advertising and as a telephone on-hold message.